"My Hermione Harbutt pieces were so absolutely perfect, I can't thank you enough for making them for me. Everyone commented on how beautiful my headpiece, cuff and earrings were, each piece worked perfectly together and when I came into the shop you knew what was right for me before even I did. My bridesmaids love their pins so much too, something to treasure forever. Thank you Hermione! I wish I could wear my sparkle every day! Hannah x" Thank you so much Hannah for your amazingly kind words. We are delighted to have been a part of your special day! 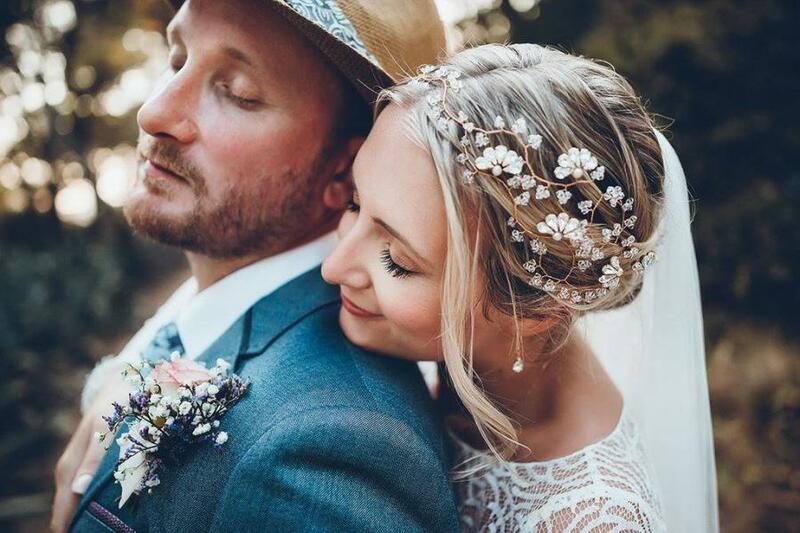 Hannah had favoured a bespoke Nadine Crystal Garland, a bespoke Novia cuff bracelet and Paris drop earrings to compliment her total wedding look. So beautiful! Photography by the talented Maja Jokic.